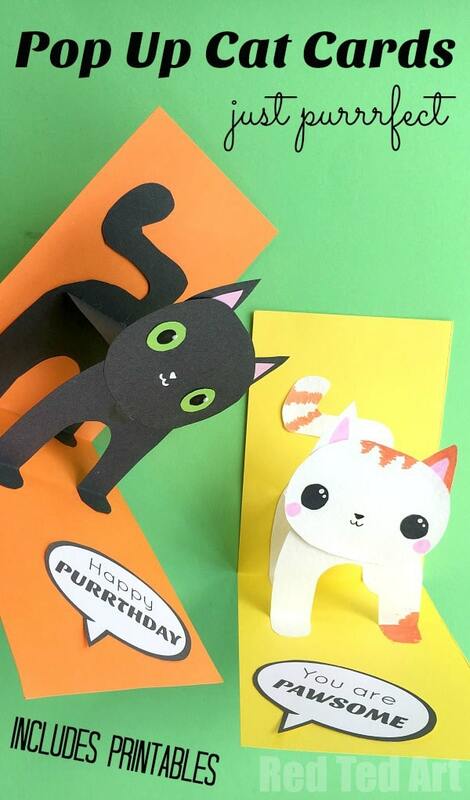 Hooray, I have some super duper cute 3D Cat cards for you today. 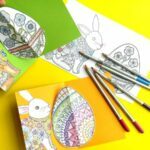 I actually spied these ADORABLE Pop Up Cards quite some time back on Russian site Clu Clu… and really wanted to have a go and make my own designs! Clu Clu has an adorable Lion and Monkey for you to check out! Do pop over and take a look. 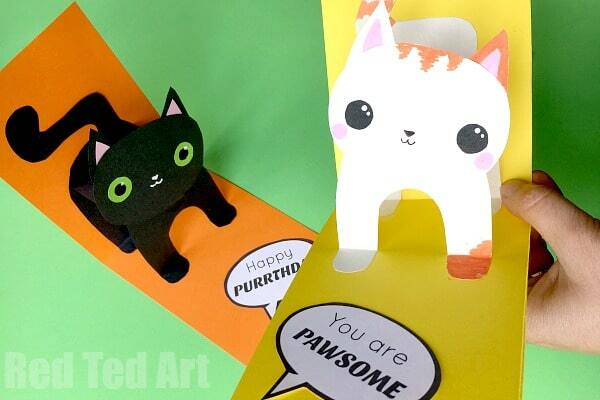 In the meantime, I made a couple of oh so cute Cat Pop Up Cards as well as a set of “Cat Puns” to go with them. 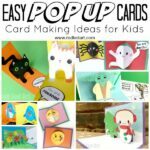 The puns instantly turned these little DIY Card Cards into Valentine’s Day Pop Ups (You are Purrrfect! You are Pawesome) or Pop Up Birthday Cards (Happy Purrrthday) or Christmas Cards and Get Well Soon cards. 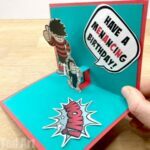 In other words – one card design… LOTS of occassions to make and give and above all.. they are darling Pop Up Cards! How I love a DIY Pop Up Card. 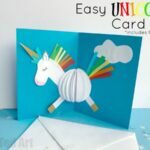 You can use this FREE POP UP CARD PRINTABLE if you wish or learn how to make a pop up card step by step down below! 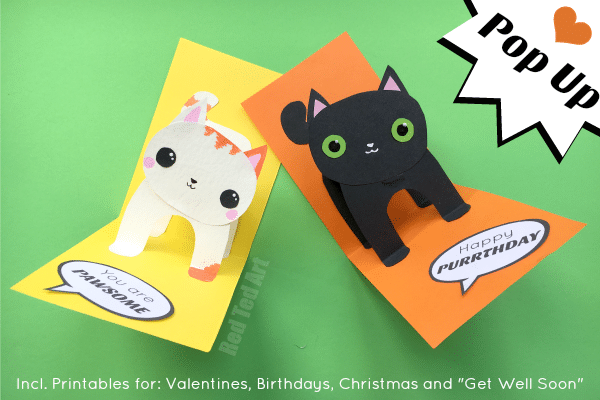 The cat printable includes Cat Puns for Birthday, Valentine’s Day, Christmas and Get Well Soon! I also found a set of Cat Jokes and Cat Puns that you may enjoy including on your card here. So.. here we go. 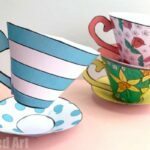 Our step by step how to make a Pop Up Card Tutorial. 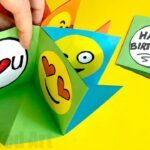 Watch the beginning of the video to learn how to make your own template from scratch (great for designing your own animals and characters) and the second half of the video to learn how to assemble a pop up card!! Enjoy. 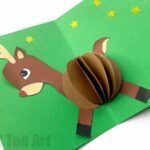 Remember to get your free pop up card template here. Begin by cutting you A4 card length ways in half and fold. Stick to card. Whoop your pop up 3d Cat Card is finished!!! Yay. Hope you enjoy this cute little DIY Card Card and that you enjoy all the different Cat Puns that go with it. 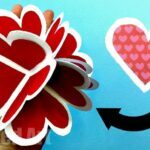 Making it a super cute pop up card for Valentines, Birthdays and Christmas!! So Cute! I will use this in a valentine card for my granddaughter, with a heart in the kitty’s mouth. Thanks for sharing. HI. could i just get the measurement for the base card please! i love this. Loved the cats. Your instructions are easy to follow. Can’t wait to try. Super cute! I can’t wait to make these with my grandchildren! Thank you so much! Awesome video! I’m gonna try this today for my cousin’s birthday! Thanks!